It's Olena here today to share with you a Beautiful Pansy oval card! 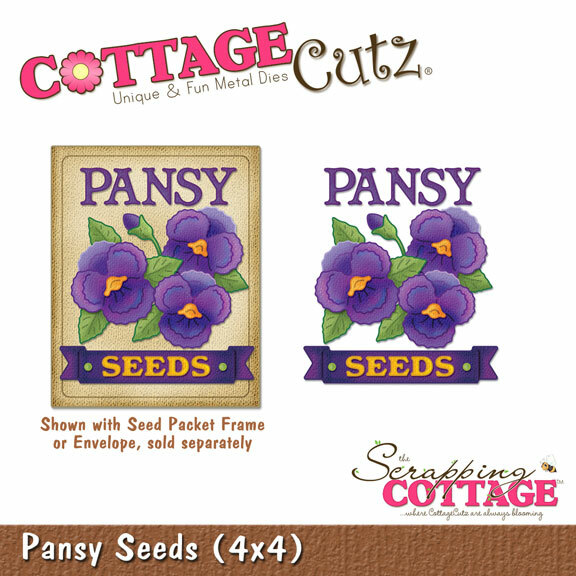 I made this card using the Super CUTE CottageCutz dies- Pansy Seeds and Oval Doily & Frame . On this card I used the gorgeous CottageCutz Pansy Seeds die to create my own pansy flowers. I cut out 4 times flowers and leaves using purple card stock, and then I sponge them with craft ink. Next, I used Zip Dry paper glue to give them a 3-D look. I used the gorgeous CottageCutz Oval Doily & Frame die to create oval doily shape. Then, I stamp dots on oval shape with stamp using orange craft ink. The base card was cut with Spellbinders dies. I, also, cut banner with yellow cardstock and stamp sentiment "MOM". I love this Olena! Now I have to have that die. I love how you used different shades of cardstock for your flowers! Great job! Oh Olena, this is just GORGEOUS! I love your pansy flowers...beautiful colors! Your card is so beautiful! 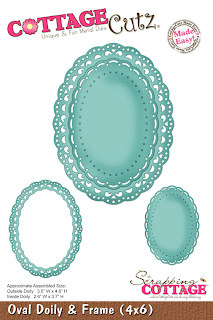 Love the oval frame, your choice of colours and the romantic air about it all. It looks like brooch. Really beautiful and perfectly made. Wow, this is gorgeous. I just love the color and your pansies are perfection.